As a child, loose teeth are a completely normal experience as the milk teeth loosen and fall out to make way for the permanent adult teeth. However, a loose tooth as an adult is almost always a cause for concern. What causes your loosened tooth and how can you fix it? Is this a permanent situation or can it be reversed? Find out the answers to these questions and more with Dr. Jose Arauz and the team in Jacksonville, NC. What causes a loose adult tooth? The most common cause of loosened teeth in adulthood is gum disease. This condition comes from the same bacteria which causes teeth decay. The bacteria builds up under the gums and begins irritating them, causing the gum to pull away from the tooth. Though the resulting loose teeth can be alarming, gum disease is reversible with help from your dentist. In addition to gum disease, an injury or trauma to the tooth can cause it to become loose. Grinding the teeth while sleeping can also contribute to loose teeth. What should I do if I notice a loose tooth? If you notice that you have a loose tooth, you should see your dentist as soon as possible. Do not touch or wiggle the tooth and try to avoid hard or crunchy foods. Take extra care to keep the tooth as clean as possible. Your dentist will work with you to find the underlying cause of your loose teeth. 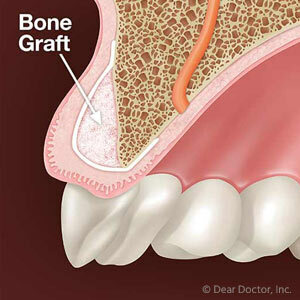 Treating the underlying cause will help the teeth return to a normal, secure state. Treating a loose tooth depends on the cause of the condition. If, for example, the looseness comes from gum disease, a deep cleaning to remove any instances of bacteria, plaque, and tartar from the teeth will help the gums return to normal. This cleaning is more thorough than those performed during a routine dental examination and will clean all the way up the tooth’s root to ensure that no infection is left behind. As the gums heal after the cleaning, they will tighten back around the tooth. Tooth splinting is another option, a process which bonds the tooth to the surrounding teeth to help prevent it from moving. In the worst case, your dentist may suggest replacing the loose tooth with a dental implant or bridge. No matter your final course of treatment, your dentist will work with you to ensure that you receive the best treatment for your situation. 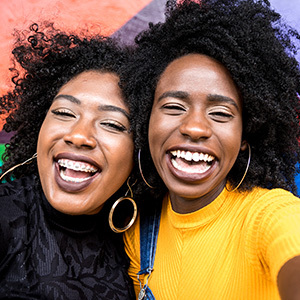 For more information on loose teeth and how you can remedy them, please contact Dr. Arauz and the team in Jacksonville, NC. Call (910) 577-1315 to schedule your appointment today!